WinSnap v4.5.4 and v4.5.5 - Finally Multilingual!!! I'm glad to announce that WinSnap is multilingual again. 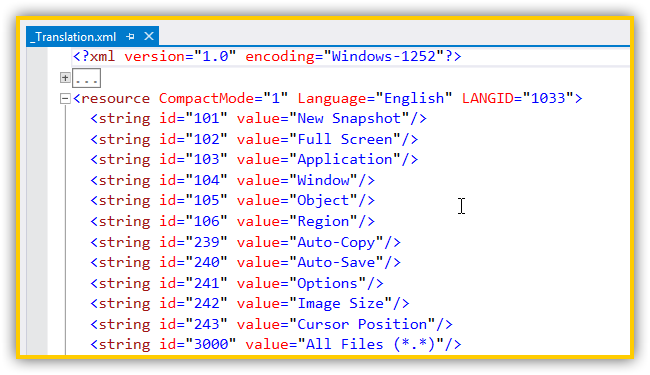 New language files are in XML format. You can not only translate UI but also resize some controls and dialogs if there is not enough space for translated option names. Version 4.5.5 contains 3 languages: German, Korean and Russian. If you want to translate WinSnap into your native language, feel free to contact me by email alexander@ntwind.com and ask any questions you might have.